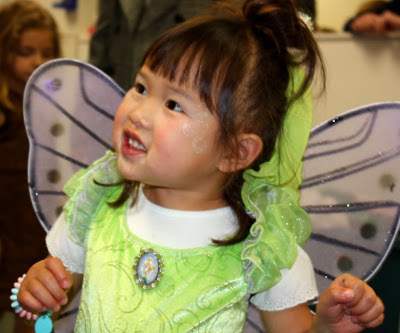 The Ladybug’s school hosted a Halloween party for all of the children. We originally thought the Bug would dress up as a beautiful purple butterfly (as mentioned in an earlier post). 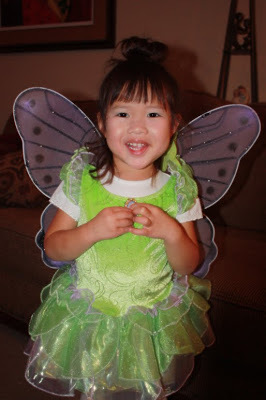 However, Nana F. surprised the Bug with an adorable Tinkerbell costume, shoes and all. So, we tried the outfit on, and all of us were absolutely in love. 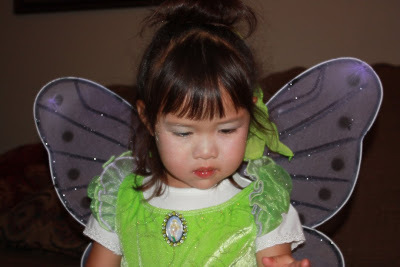 And to top it off, the butterfly wings from what would have been her original outfit were a perfect match for the Tinkerbell costume. 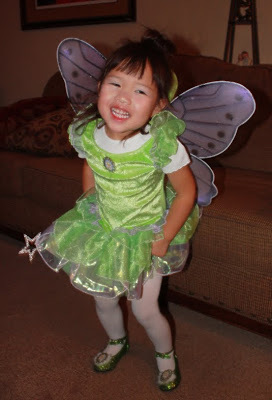 So, here is the bug as the happiest, cutest, most adorable Tinkerbell ever. The Ladybug pondering the life of a fairie.